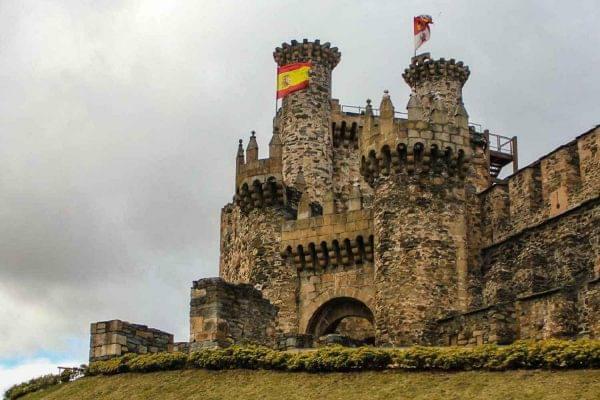 Section 7 of the French Way: Section 7 of the French Way, from Ponferrada to Sarria, begins in the beautiful city of Ponferrada, with its imposing Templar Castle, and finishes in the city of Sarria in Galicia, which is also the most popular starting point of the Camino de Santiago. Once we leave Ponferrada we will head to Villafranca del Bierzo, a small beautiful mountain town surrounded by idyllic countryside. Next we will tackle a steep climb that will take us to the mountains of O Cebreiro. O Cebreiro is a beautiful mountain village of great natural beauty. Once we pass O Cebreiro, we will continue on our Camino de Santiago journey through rural Galicia, following forest trails until reaching Sarria. We can take an alternative route to get to Sarria that will enable us to visit the impressive Monastery of St Julian of Samos. Have an unforgettable time on the Camino de Santiago from Ponferrada! 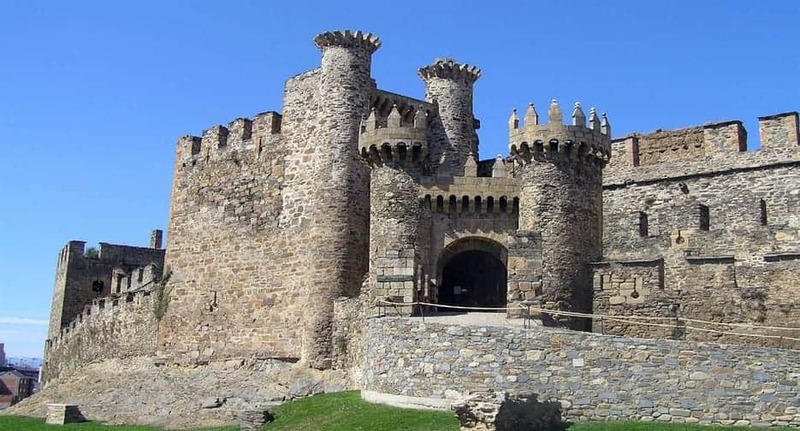 Once we reach the city of Ponferrada, we will have the opportunity to visit its beautiful old town and the Templar Castle, in addition to trying some of the wonderful local cuisine that comes from the surrounding mountains, such as the ‘botillo’ (meat-stuffed pork intestine) and some of the best meats in Spain. We will walk through the spectacular region of El Bierzo, nestled among the mountains. If we are travelling in summer, then we will have the chance to eat some of the area’s delicious cherries. The rest of the year, we can try the different cured meats and other local delicacies. 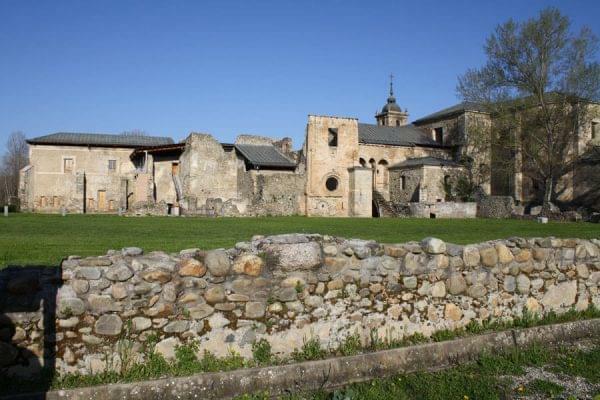 In Villafranca del Bierzo we recommend visiting the Romanesque Church of Santiago. This Church has a “Door of Forgiveness”, which only opens during Holy Years. This route will be one of the most complicated sections on our journey to Santiago, as we will have to climb more than 1,000 meters along the valley of the Valcarce River before reaching the beautiful town of O Cebreiro. We must be ready to tackle this challenge! We can divide this route into 2 sections (21 km and 9 km) and sleep in the small village of Herrerías, which offers spectacular views of the mountain. From O Cebreiro we will pass through the ‘Serra de Rañadoiro’ mountains, and once we’ve crossed Alto do Poio we will descend to the village of Triacastela. Of the two possible options, the SAN XII route offers an amazing passage along narrow forest trails that run through theoak forests that are so typical of the Galician region. On the other hand, if we want to visit Samos and its impressive monastery, we have to walk through the valley of the Ouribio River. 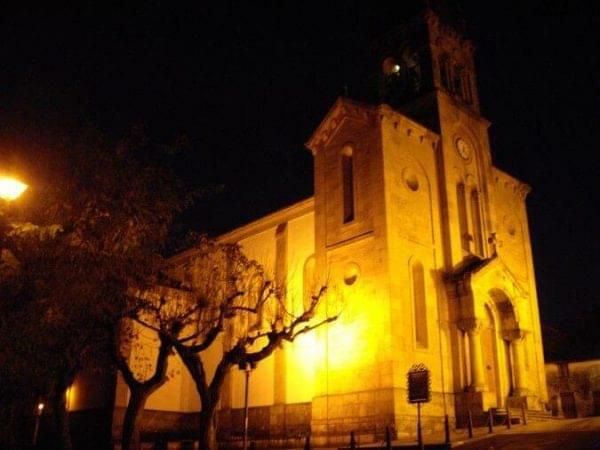 In Sarria we will get the chance to visit the town center where we will find beautiful churches, chapels, monasteries and pilgrim hospitals. Sarria’s main street, Rea Maior, has a quaint atmosphere, and is a great place for getting a coffee. 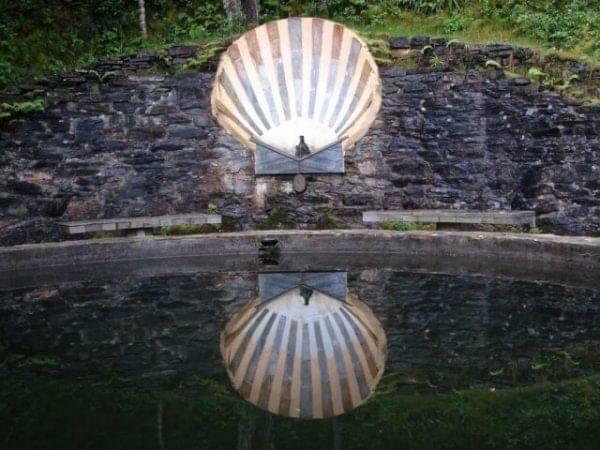 We recommend visiting the Church of Santa Mariña with its evocative pilgrim mural, the Castle and Fortress of Sarria, as well as the Monastery of La Magdalena. 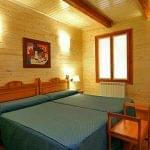 Additional single room: €110 per person. 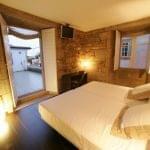 Extra night in Sarria: €55 per person. Transfer from Sarria to Ponferrada: €140. Cancellation insurance: €12 per person. We will talk next about one of the most charming routes of all along the Camino de Santiago. 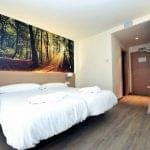 We refer to the stretch between the magnificent cities of Ponferrada and Sarria. It is part of the Camino Frances and is one of the preferred route by pilgrims. We will tell you about the reasons why it is worth doing, and we will give you all the information necessary to complete it. 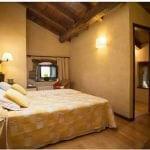 Remember that with Santiago Ways it is possible to do it all year round with the best company. Why do the Camino de Santiago Frances from Ponferrada? 1.- Historical heritage: One of the reasons to make the route on the Camino from Ponferrada to Sarria is its great historical heritage. This is distributed throughout the route and, especially at its point of origin, Ponferrada. Later, in the places of interest section, we will talk about it more in detail. However, we can let you know that you will pass through the environments of the Middle Ages kept in a very good state of conservation. 2.-Infrastructure: From Santiago Ways, we always say that the Camino Frances is endowed with the best infrastructure. In fact, this goes from the quality of its roads to good signposting that it has and offers all the services for the provision of all pilgrims. This makes it the favourite route for pilgrims and especially for those who dare to make the Camino de Santiago for the first time. 3.-Environment: the natural landscapes with which this section of the Camino de Santiago counts on are spectacular. There are many mountain sections that will offer unforgettable views throughout the year. That is why it is always a good reason to enjoy all the beauty of this route. Sarria starts the last stretch before arriving in Santiago de Compostela. So the Camino Frances from Ponferrada to Sarria is the penultimate part of the route. It is a good starting point for those who have not even decided whether to do it completely or to do so only until they reach Sarria. It is section 7 of the Camino Frances and runs entirely through Galicia and its generous forests. It has a total length of 93 kilometres divided into 6 stages. Within its heritage are the remains of the Templars, for whom this pilgrimage route was sacred. That's why we encourage you to relive the history with the aid of Santiago Ways. Besides the Camino de Santiago French from Ponferrada to Sarria, there are two other very popular routes within this alternative. We want to talk to you about them in case you haven't decided which one you want to do. We want to remind you, first of all, that with Santiago Ways you can do any of these routes throughout the year. It is also possible to adjust the service you want to choose between breakfast or breakfast and dinner among the options available. The Camino from St Jean Pied de Port is the most popular among French pilgrims. It starts in this picturesque village and culminates in the Spanish city of Pamplona. It is especially popular during the month of July, when they take advantage of their arrival in Pamplona coincides with the feast of San Fermín. It is a route of 66 kilometres divided into 5 stages. The route from Sarria is the one that continues onto the one we commented from Ponferrada to Sarria. As we have said, it is the last stretch of the Camino Frances which makes it very crowded, precisely because there are many pilgrims who want to experience the feeling of completing their journey in Santiago de Compostela. It has a total length of 111 kilometres divided into 7 stages with its corresponding 6 nights. With Santiago Ways, it is possible to spend them in the best hotels along the route. We offer you the maps related to the route of the Camino Frances from Ponferrada to Sarria. We do so that you can have as much information as possible and you can get an idea of the places you'll be going to see and the wonders you'll find on your way. We will talk to you about the profile of the Camino Frances de Santiago from Ponferrada to Sarria. In this part, we will focus on the altitude of the route, its highest points, as well as the difficulty linked to both points. We can say that the first part takes place practically without any climbs. However, the most pronounced ascent occurs between Hospital and O Cebreiro, with a climb of about 600 meters. The reward comes later between Fonfría and Triacastela when we make the descent. Then there is a small ascent and finally, we begin to make our descent. Except for that stretch, there is no particularly hard part. On the other hand, you have to remember that the good condition of the road along the Camino Frances makes it easier for us. We offer you below the different stages on foot that make up this section of the road. We do so that you have all the information possible about the organization of the whole route. Stage from Ponferrada a Villafranca del Bierzo. Stage from Villafranca del Bierzo a O Cebreiro. Stage from O Cebreiro a Triacastela. Stage from Triacastela a Sarria. How long does the Camino Frances from Ponferrada take? The Camino Frances from Ponferrada has a total length of 93 kilometres spread over 6 stages with 5 nights. This makes it a good choice for Easter or for any other long weekend that occurs throughout the year. This duration may vary if, for example, we feel like staying longer while looking at a particular place. There is always that risk taking into account the beauty of the places we pass through. Although it is true that choosing the time of year to complete the Camino de Santiago is a personal choice, it is also true that there are advantages and disadvantages in every season. That is why we have decided to show the various months of the year below with their relative advantages and disadvantages. In January the temperature is low, however, it is a good time thanks to the days that we have left over from Christmas. Apart from that, the beauty of the whole environment during this month is another of its charms. In February the temperatures increase a little. There is more risk of precipitation precisely because of evaporation. However, with good foresight, it is always possible to avoid their influence. In March, you can notice the presence of spring. The fields we will go through will be tinted by a symphony of colours that makes this month a good alternative. April is Easter. It is a period of time which is more than enough to be able to complete the route of the Camino de Santiago from Ponferrada to Sarria. In May, the risk of precipitation increases. However, the temperature is already spring like and the beauty of the landscape will accompany us. June is a good month for those who can take their holidays early, just starting the summer. We avoid with this any possible crowds and at the same time, the climate will accompany us very well. 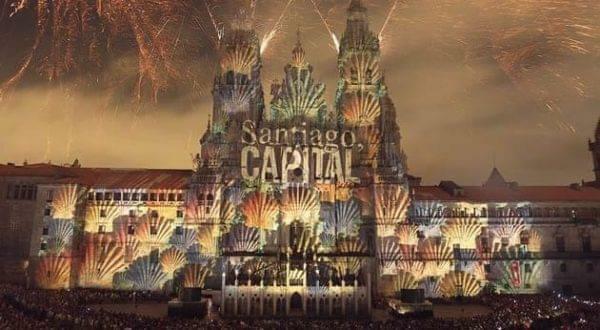 This is one of the most popular months because it coincides with the festivities of Santiago de Compostela (from 15th to 31st July) as well as with those of Pamplona on July 6th. It is still one of the months with the largest influx on the Camino. It's nice weather and the temperature is fresh. Plus, it's when most people have more free time available. With Santiago Ways, the topic of overcrowding is not a problem. The month of September starts to bring the autumn. Everything is dyed in its magnificent colours and the romantics generally decide that this is their month. It is necessary to be cautious, and before starting our journey consult the weather forecast closely to avoid possible rains. The month of October usually brings an increase in rainfall but, at the same time, an idyllic environment full of greens, yellows and browns. Temperatures drop and there may be precipitation. However, the influence of winter begins to change such a beautiful landscape. 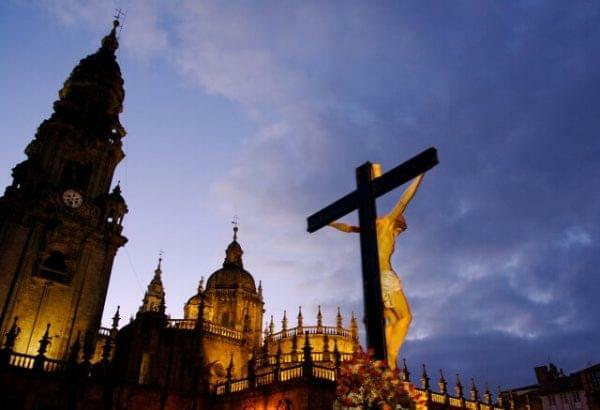 It is a month chosen more and more by those who want to use Christmas to complete their pilgrimage and enjoy the beauty that we can find throughout the route and, especially in the towns and cities. We have selected some places of special interest to the pilgrim with the intention that you yourself do not miss during your journey. They include not only some places of touristic interest and historical heritage but also others of gastronomic interest. 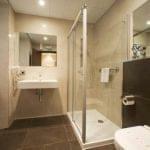 We also include the best hotels, precisely those where you will stay to rest as you deserve. The city from which we start, is by itself, enough reason to make this section of the route. With its majestic castle and spectacular historic complex, this city is one of the best preserved since the time of the Middle Ages, when it was founded by the Templars. There is no better way to start our route to Sarria and even continue from Sarria to Santiago. Two rivers, the Burbia and the Valcarce, converge in the mountain village of Villafranca del Bierzo. It has several monuments of beautiful architecture from the Middle Ages. For example, the Monastery of Santa Maria de Saracena or its imposing Museum of Natural Sciences, an old palace that is in a perfect state of conservation. This magnificent mountain village preserves the purest Galician and Celtic style. With its small houses and a cosy grey stone atmosphere, O Cebreiro is another of the obligatory stops along the Camino Frances from Ponferrada. 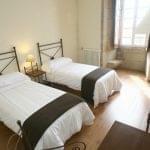 The last point of our pilgrimage, Sarria, also has a lot of cultural and historical interest. For example, it has a castle and the Church of Santa Marina in Sarria. Two examples of the Middle Ages that you can't miss. With Santiago Ways, you can have the peace of mind that you will stay in the best hotels and with the care you deserve and rest as you need. We'll introduce you to them below. Doce Torres: The Doce Torres restaurant in Ponferrada is a good place to make our first homage before starting our journey. It has specialities of the land (always in season) prepared with great care and with excellent service. Casa García: Located in the village of O Cebreiro, this restaurant offers a high-quality product at a more than affordable price and with good servings. In other words, it perfectly meets Galicia's reputation for the generosity of its gastronomy. Casa del Barrio: In Sarria, we can find this place which, despite lacking in superficial luxuries, offers us a high-quality gastronomic experience at a very affordable price. The Camino from Ponferrada to Sarria shares its origin with the Camino Frances. In fact, this route took prominence ahead of the Camino Primitivo or the Camino del Norte as the Reconquista was advancing. The Camino Frances became a more attractive alternative because it was easier to complete than the north, much more rugged. It should be remembered that, originally, the Camino de Santiago was not just a pilgrimage route but also a trade route. It gave economic dynamism to the whole region and made the north of Spain prosper. Thanks to the Camino de Santiago many of its magnificent villages have managed to survive. And so you can get to know first-hand the opinions of other people who have already made this route with us, we show them below. In Santiago Ways, we always try to take care of those who trust us as well as possible. We leave some pictures and videos of the Camino de Santiago from Ponferrada so that you see everything that is waiting for you on your organized trip with Santiago Ways.